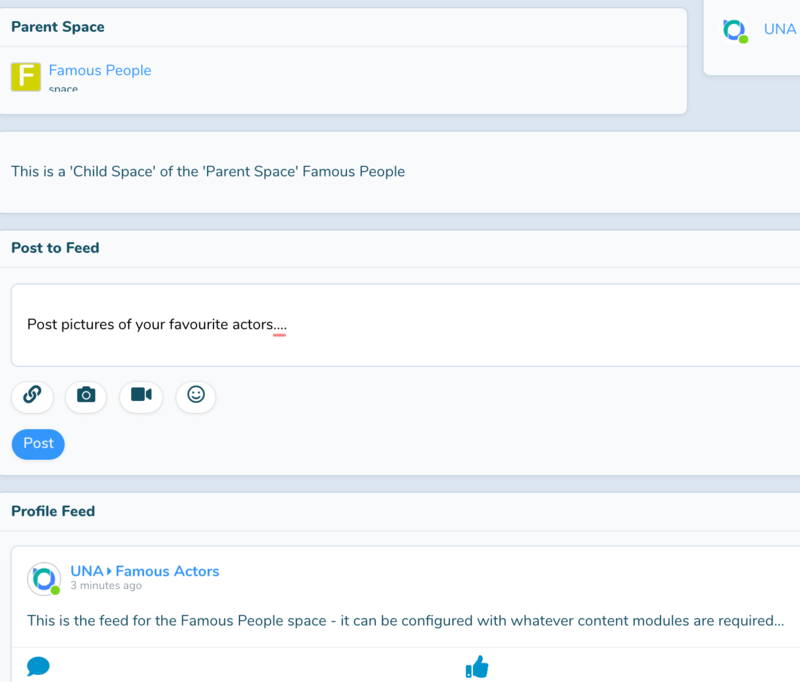 There is no designation beyond this but the scope is enormous. 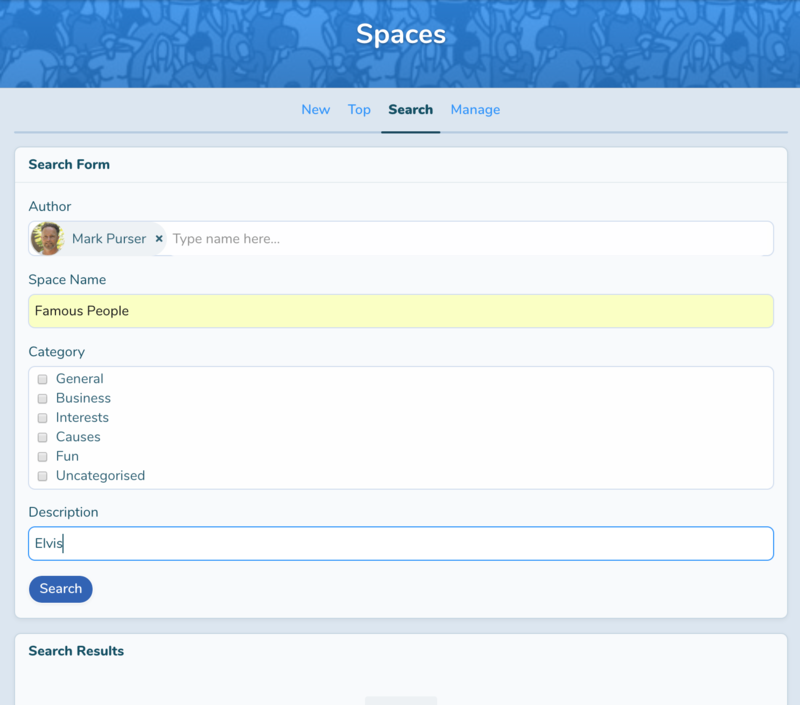 Ultimately Spaces is a system of architecture that enables you to clearly and simply establish clear arrangement and taxonomy within your UNA site. 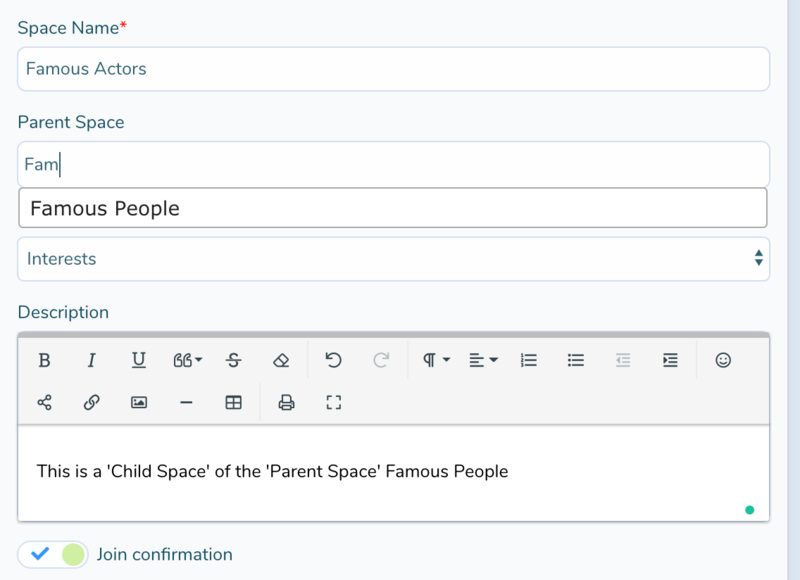 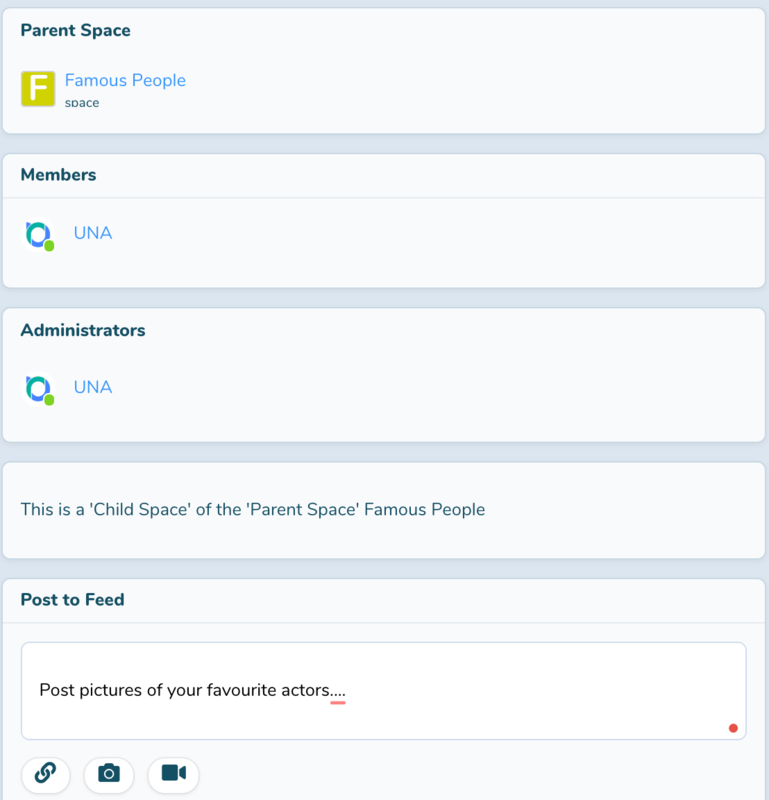 Within each Child Space you are able to create the full range of normal posts, design pages and manage content as you would in other normal UNA Group. 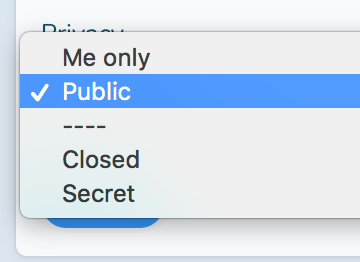 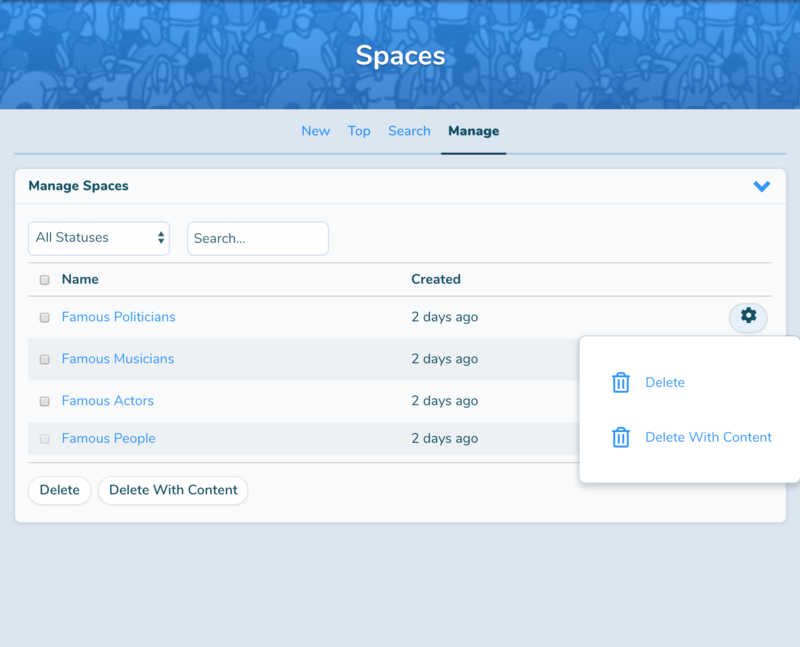 Each Space has it's own set of permissions and members, enabling you and your users to control their membership at each level. 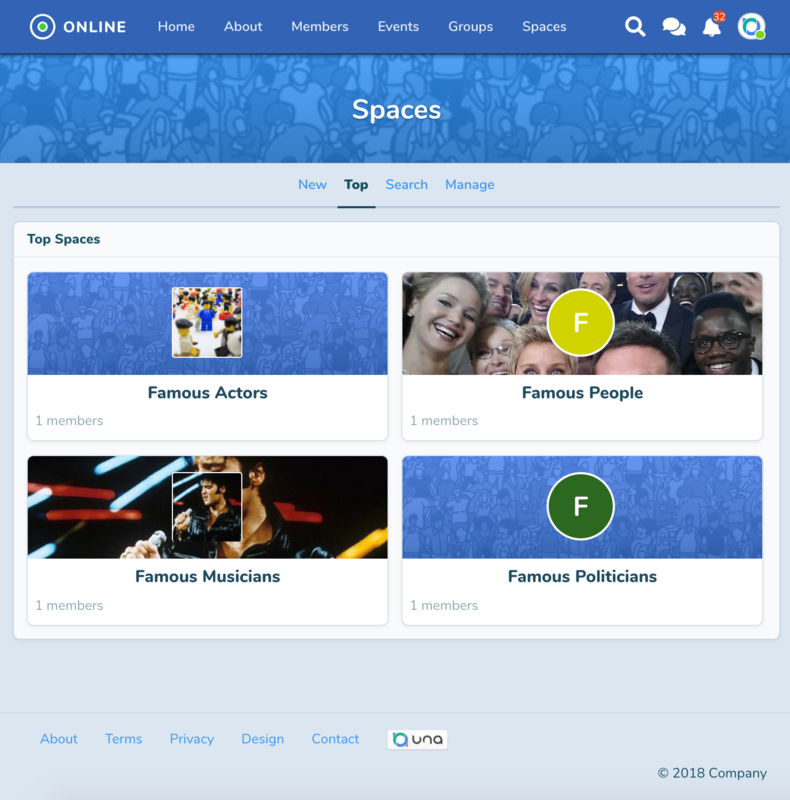 Spaces module will enable you within your website to create various Communities, and within those Communities, you can create 'Sub-Communities', within those Sub-Communities members can post the full range of normal posts. 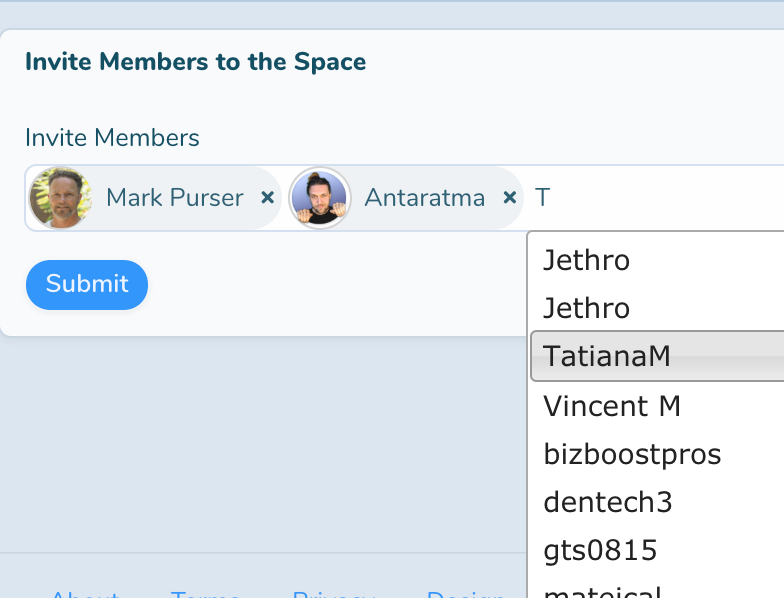 Mystified about how to get groups into spaces.